How often have you heard the phrase, “Oh my, your eyes are bloodshot red! Are you OK?”. Well, there are 2 main reasons that cause your eyes to get red. One of the reasons is fatigue, and the other is an inflammation caused by when something either gets in your eyes, or you are ill. When you conduct activities that causes you to eye your eyes a lot, such as staring at the computer, reading, or when you just simply don’t get enough sleep, the veins in your eyes expand so that your body can carry more oxygen and nutrients to your eyes, and this is what makes it become red. In order to red eyes caused by fatigue, I would recommend using eye drops for TIRED and STRAINED eyes, which replenishes the eyes with the necessary nutrients. 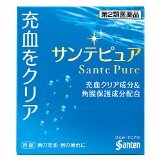 The eye drop below is also said to help suppress red eyes. This eye drop not only replenishes your eyes with the necessary nutrients, it also has an anti- inflammatory effect, helps the cornea with water retention, and even speeds up the healing process of damaged tissues due to fatigue. As for the other cause for red eyes, when things like sand or dust gets in your eyes, or an allergic reaction the veins in your eyes expand as an inflammation reaction. This type of inflammation caused by irritation due to external factors generally heal naturally, and fairly quickly, that is why I don’t think it’s necessary to go out of your way to buy some eye drops. However, if it takes your eyes an irregular lengthy amount of time to heal, than you might have a dry eye. In this case you might want to take at the recommended eye drops for dry eyes article here. IF YOU WEAR CONTACT LENS, contact lens sometimes causes your eyes to become red. 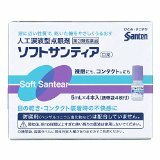 In this case, the artificial tear eye drop below, “Soft Sante” is recommended. As for those who are always outdoors, and exposed to UV rays from the sun, read our article on UV related red eyes here.